An electric hob that's separate to your oven allows the flexibility to manage kitchen space better. Which of these hobs should you buy: induction or ceramic? Our buying guide outlines the various features and functions of each. What Is A Ceramic Hob? Ceramic hob contain coiled metal elements, which are heated electronically under tempered ceramic glass. The flat hob surface is faster to heat than traditional radiant coils found on low-end stove tops. Induction cooking differs from traditional cooking methods because there is no heat generated by the hob itself. 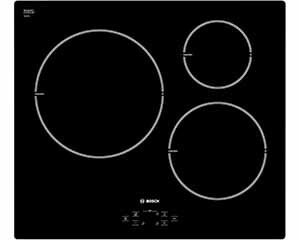 The elements (coils) on induction hobs are powerful, high-frequency electromagnets, which generate a magnetic field. When the correct steel cookware is placed on this magnetic field, it heats up. Having control over the amount of heat produced by an electric hob is one of the most important factors in producing great meals. The more control you have, the less likely it is that you'll overcook or burn your food. This is especially important during low-heat cooking, such as simmering sauces and melting chocolate. Induction hobs offer superior heat control. Unlike ceramic hobs, an induction hob offers almost instant adjustment in heat levels because you don't have to wait for the element to heat up or cool down. Cooking speed is traditionally determined by how quickly and efficiently heat can be produced by the hob and then transferred to the cookware. The electrically-heated coil elements in a ceramic hob take time to heat up. There is also heat loss during the transfer between the ceramic hob and the cookware. This means that there is a delay in heating the cookware. Induction hobs do not heat up. Instead, they create a magnetic field, which in turn heats up the cookware. This means that induction hobs can heat cookware instantly. As a result, induction hobs are faster than conventional hobs. An induction hob will boil water in roughly half the time. Both ceramic and induction hobs are flat, smooth surfaces, so no dirt or food can fall into hard-to-reach places. However, because ceramic hobs heat up, spilled food can bake onto the surface. It's important to wipe spills from a ceramic hob immediately, especially sugar, because it can make the surface uneven, which can reduce the efficiency of the hob. Induction hobs don't heat up the glass, so spilled food wont burn onto the surface. Ceramic takes longer to heat up cookware to operating temperatures. There is also energy loss between the heated surface of the ceramic glass and the cookware because there isn't a perfect seal between the two. What Cookware Do I Need? Ceramic hobs: You'll need cookware with a flat base. This improved surface contact makes the heating more efficient and controllable. 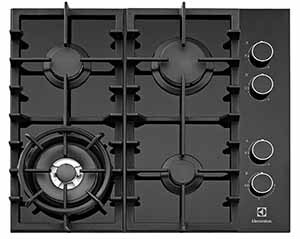 Induction hobs: These require cookware that is close or exactly the size of the elements. Pots and pans that are too small won't be recognised by the element. If the cookware overlaps the edges of the elements, it won't heat up where the edges don't cover the element.